Many web-logs logs and online journals feature step-by-step aspects of housekeeping. Occasionally others have expressed surprise that simple things like boiling water, making a sandwich, and washing a dish have to be taught, but no one is born knowing these things. The search areas of homemaking blogs often show questions like "How to clean house" or "How boil eggs," and if a person has never done it or were not taught at home by their parents, they can find the information in books or the internet. 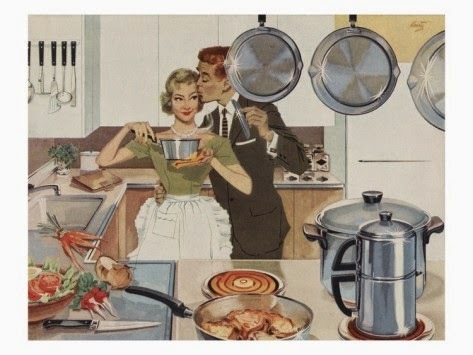 Old home-economics textbooks which explain these things in detail along with illustrations are available and there are videos you can watch which show homemaking up close and in detail. 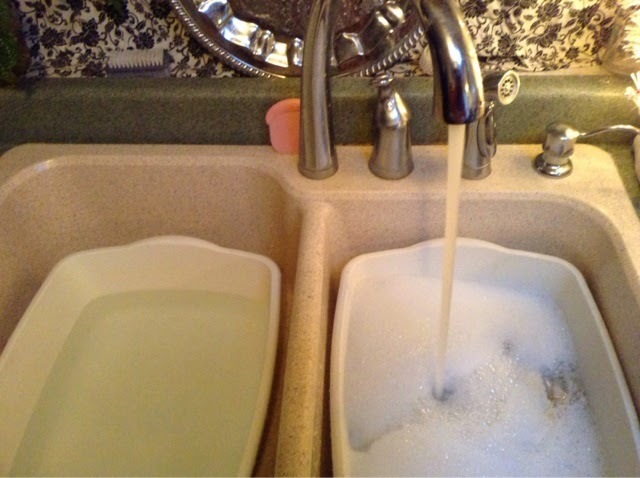 Today I am going to share how to wash dishes when you only have a small amount. It can be done expediently in one pan. 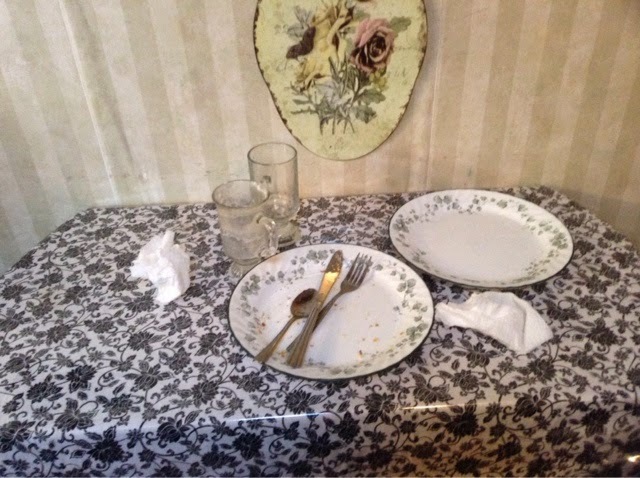 Above, the used dishes must first be removed from the table. In some families, each person removes their own things, rinses them and puts them in the dishwasher. However, there are times when one person may have to do it all, so today I have taken some time to get pictures of the process. 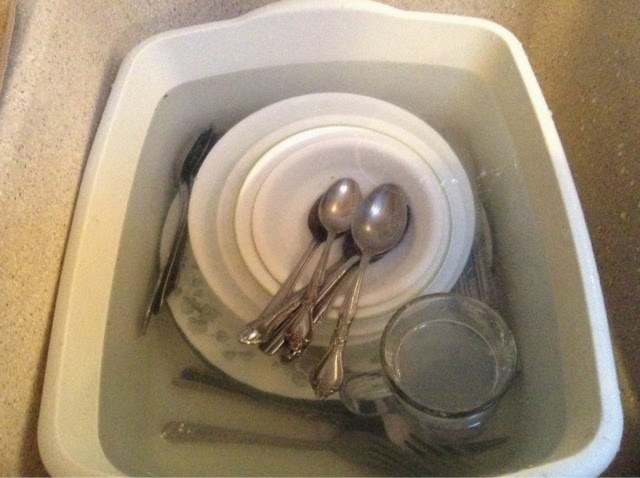 This is a tutorial for washing a small amount of dishes. There are a couple of ways to do this, so I will try to show another method in a future post. 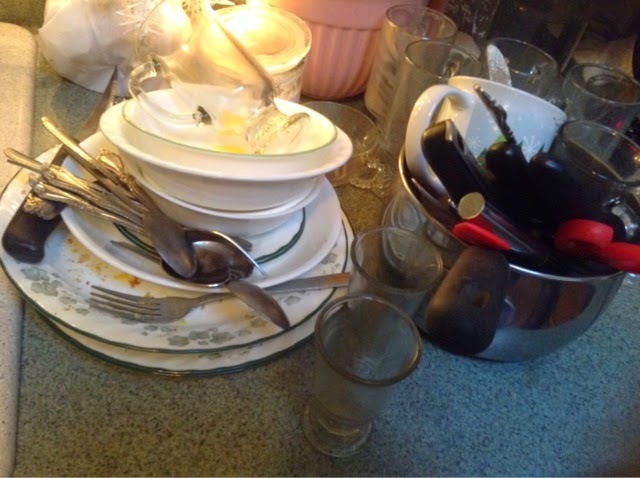 For a small amount of dishes, gather up the plates and put the cutlery and glassware on top and transfer the pile to the area by the sink where you will be washing dishes. Above you see what the collection might look like before the dishes are rinsed and stacked in order. 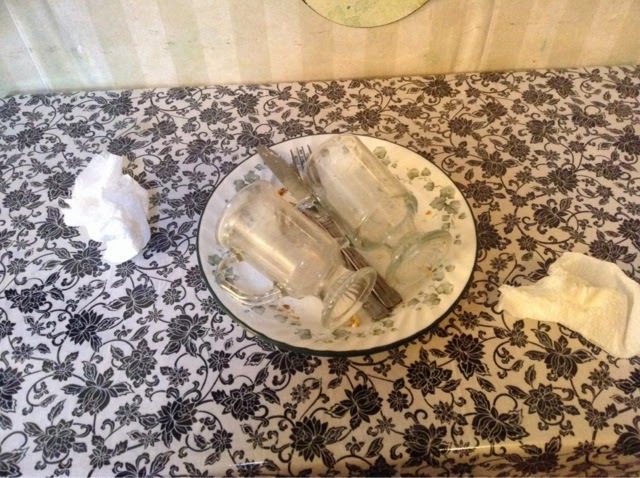 In a paper napkin, gather up crumbs and food and other napkins and deposit in the trash can, which can be placed within easy access in the kitchen. 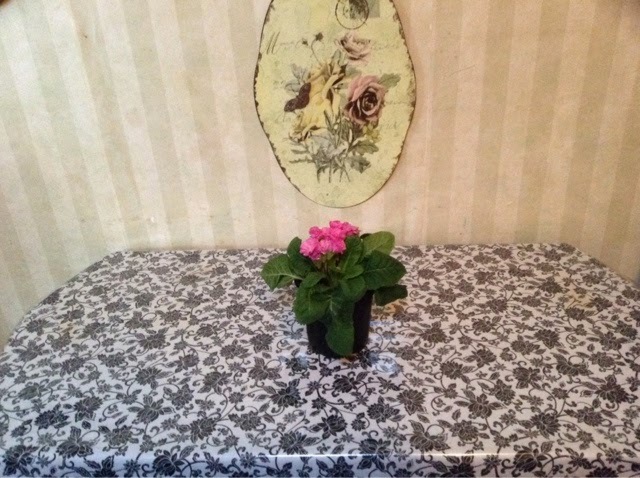 There is a plastic covering on the tablecloth which is easy to clean with a wet rag. Using a wet dish rag, wipe the table in a gathering motion, scooping up any foods (rather than just pushing the rag around the table). This is a technique you might learn better by watching someone else do it. 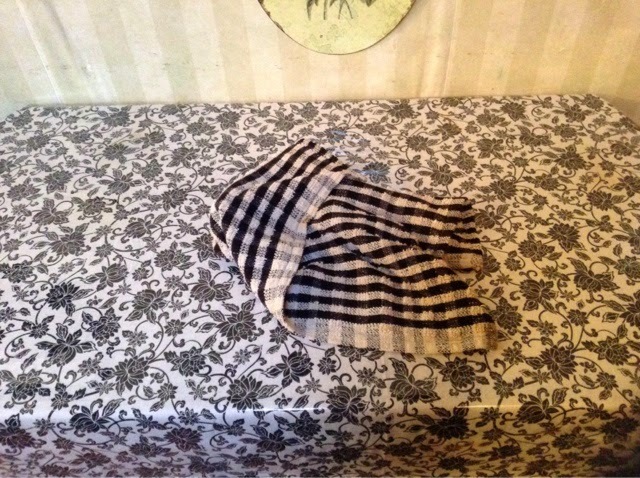 Shake the rag out into the trash and then rinse the cloth again before you give the table a final wipe. 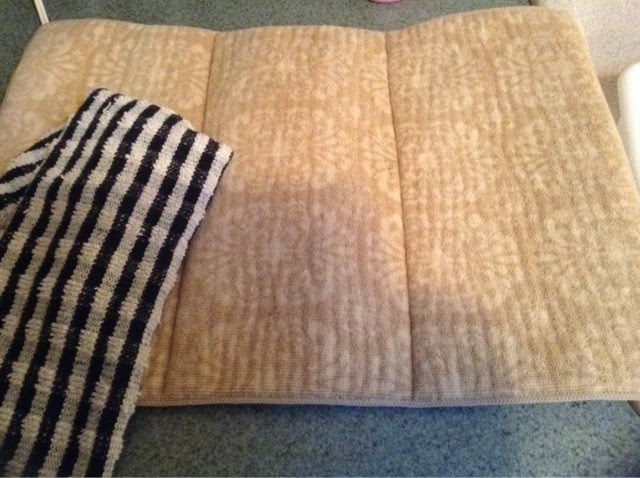 Then wipe the surface dry with a good cotton dish towel. 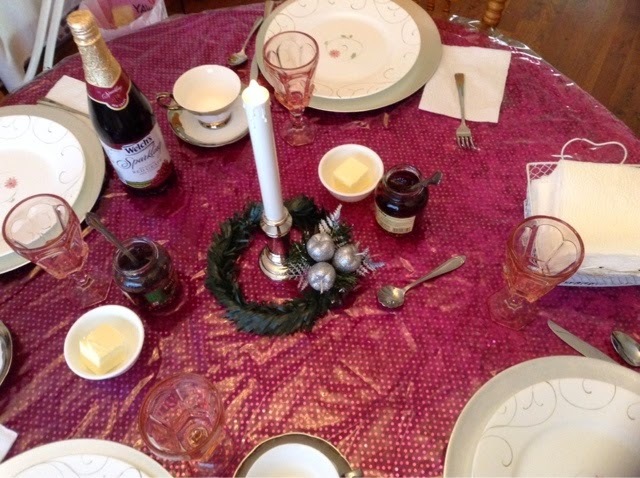 If you feel the need to give the table a finished look, add a centerpiece of some kind. 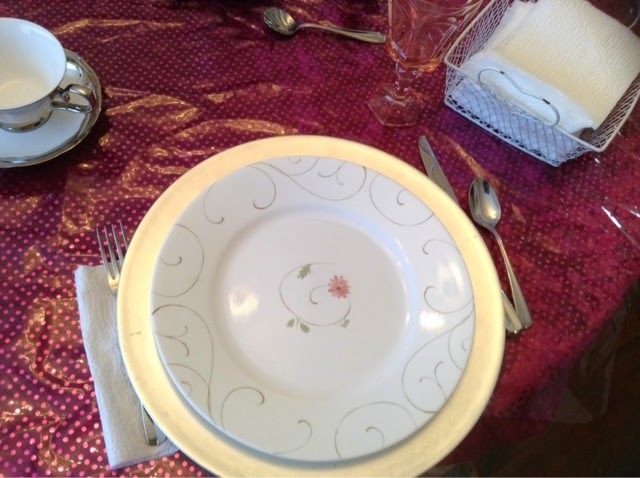 Since most homemakers have people eating at home frequently, the table will not stay clean very long, but a little effort to clean and decorate will give you a sense of completion, and satisfaction with your work. If you do this after you clean the table and before you wash the dishes, you make your working area pleasant to look at. Fill the tub with dishes by putting the larger plates in the bottom, adding the bowls on them, and then the glassware and cups on top. Put the utinsils In the sides, in groups of forks, knives and spoons. Washing and rinsing them in the groups makes it a lot easier to dry them and put them away. 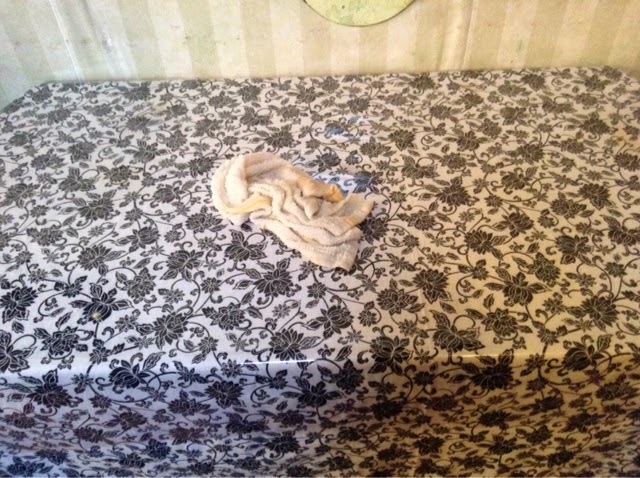 With a dish-rag, carefully wipe each item, rinse it again and stack beside the sink. Empty the pan of water, and rinse it. For the small stack of dishes, fill up one pan of soapy water, using about a half teaspoon of dishwashing liquid soap. This will vary depending on the quality of the soap. Use the hottest water available from the tap. Fill another pan with the same hot water for rinsing. 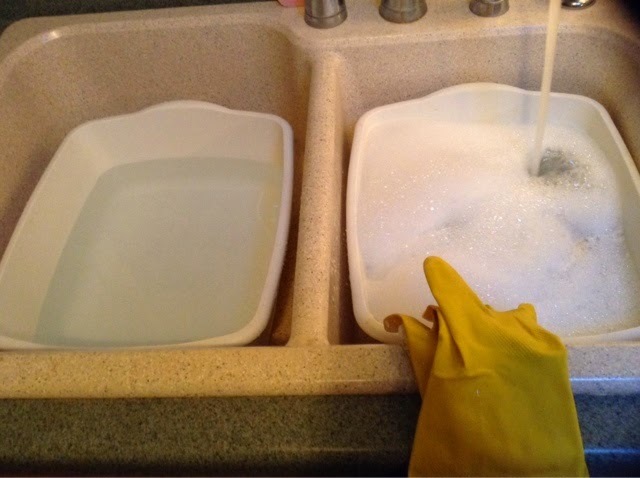 I realize some people do not rinse their dishes in clear water after washing them in soap, but rinsing removes the soap and bacteria from the wash water and also oils and grease. 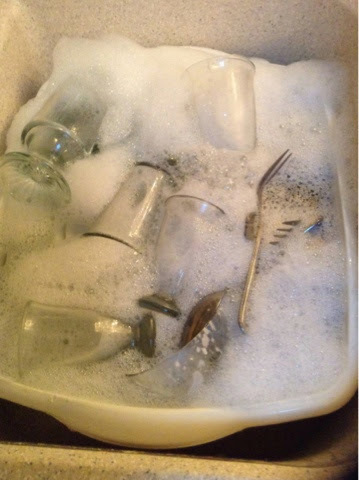 Then, stack the rinsed dishes in the soapy hot water as you did when you rinsed them, by putting the larger plates in the tub first and then layering the next largest, and smallest items. Place the drinkware on top. Use rubber gloves so you can use the hottest water possible. Hot water dissolves grease and oils and is essential for getting dishes clean, but if your small stack of dishes has been rinsed well, they will not be difficult to get clean. 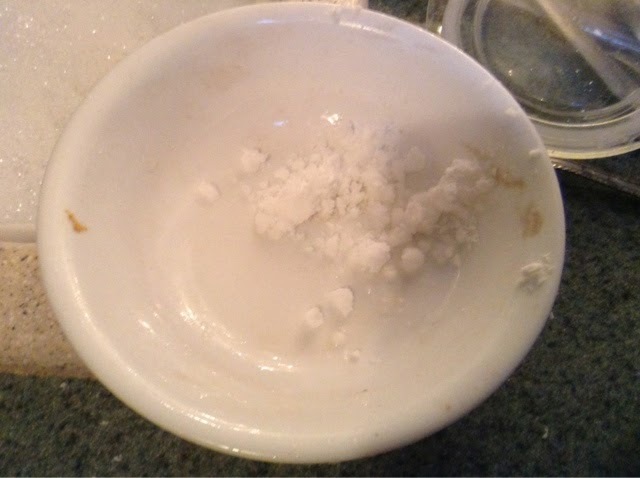 For stains on your dishes, keep a jar of soda bicarbonate near the sink. Put some in the dish and use a dish rag to rub it around and remove the stain. 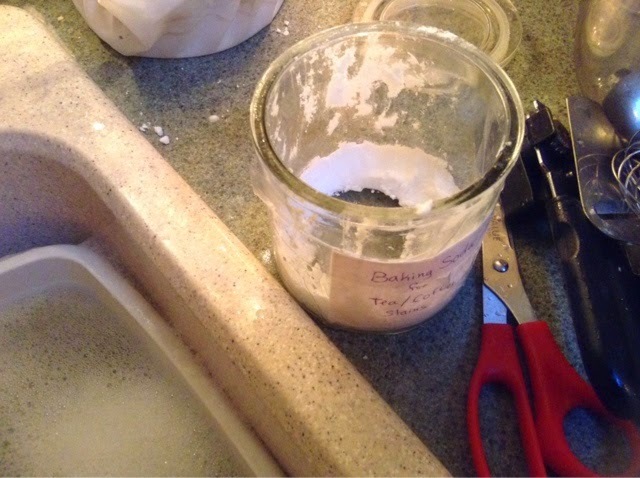 The used soda can be put in the soapy dishwater. 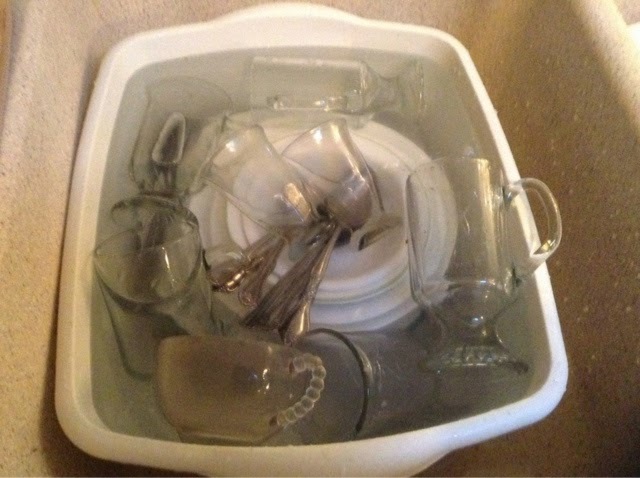 Place the utensils in the water in the sides of the pan and the glassware and cups on top. Wash whatever is on top of the sudsy water first. 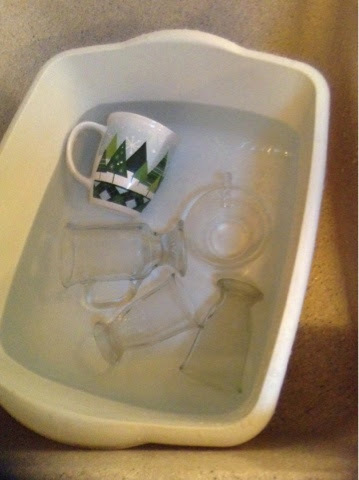 The glasses and cups should come out first and be placed in the hot rinse water. Carefully swirl each item in the steamy hot rinse water, making sure the soap is rinsed off, then turn them upside down to drain on a padded drain mat. Use a fresh clean dish towel for drying if needed. With the water being so hot, the dishes may dry quickly and can be put away without drying them with a towel. 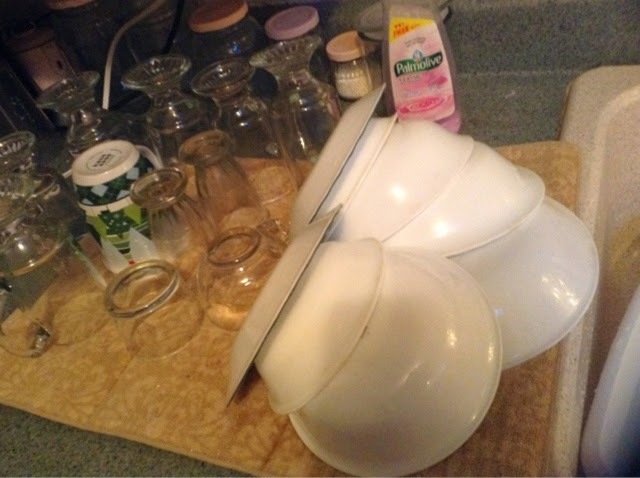 Next wash the bowls and stack them on the mat, and prop the plates on them to drain. Wash the utinsels and drain, and wash the pots and pans last. To make this job as pleasant as possible, find a detergent you enjoy using. The dish towel, padded kitchen mat, rubber gloves and detergent were all purchased at the Dollar Tree. 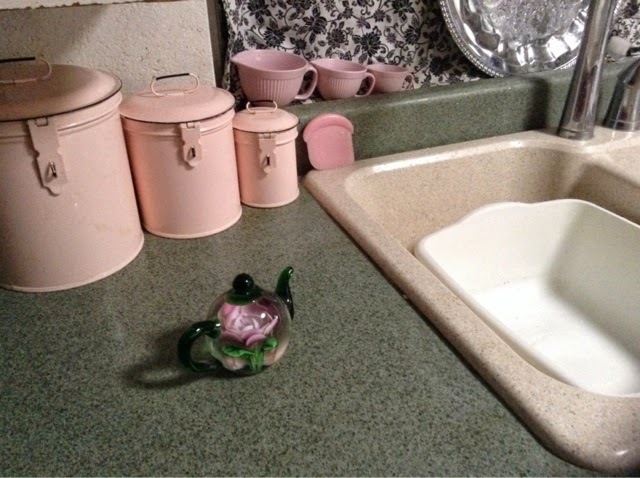 There are some vessels I enjoy taking my time washing and rinsing, because I like to think about how they came to be in my kitchen, what they are used for, and and why I like them. There are other thoughts to dwell on when washing dishes, and I like to hear music from my playlist or favorite cd's. Some favorite things that are often in the wash. When the dishes are dried and put away, remove the mat and hang it somewhere to dry, and then clean up the work area and make it attractive. 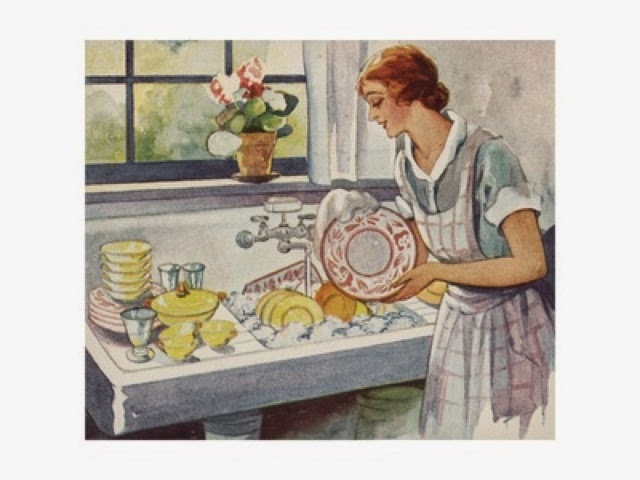 A some ladies have different preferences for their work in the kitchen to make it enjoyable and easier to get the job done, and I hope you will leave your comment and share things about washing dishes. As I said, there are several ways of doing dishes, and this is only one convenient way. I will try to show other ways that may be suitable in different situations. If you use an automatic dishwasher, there is a different set-up that may require collecting a tub of dishes in rinse-water until there are enough to load the dishwasher and make it worth turning on. Please click the picture above to enjoy the beautiful singing. Welcome to my home making web-log. 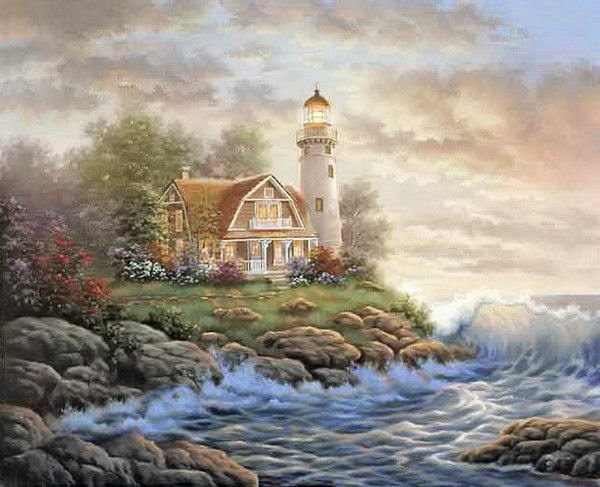 I hope you are uplifted by your visit here. It has been a windy and rainy day. 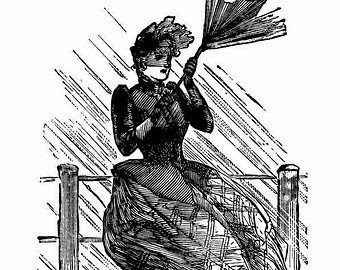 You would think after all the history of the umbrella, we could get one that would not be turned inside out by the wind, but even the strongest and most expensive brollies are vulnerable to fierce wind and rain. Each year there is a gathering in Times Square to observe something called "Good Riddance Day." People get rid of resentments and everything that has perturbed or aggravated them in their lives and determine to forget it, forgive, and move on. 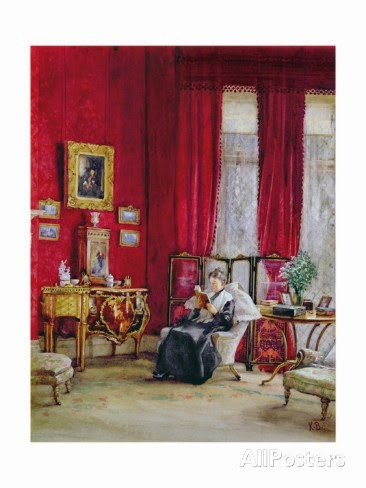 Years ago when the book "Fascinating Womanhood" was first published, many ladies attended classes to learn more about having a happy marriage and home life. One of the things taught in the course was: In order to have a happy marriage, you have to give up some things and get rid of some things. I am sure many of us widened our eyes in dismay, wondering what kind of sacrifice this would be! However, we were greatly relieved when the teacher said to give up worry, resentments, bitterness, tension, frustrations and various fears and constant inner turmoil. There are good reasons for giving all this up, as was shown in continuing classes. These things are certainly worth giving up, even at work, in the world as you go about your business, at church, in the home, in all relationships and in marriage. We could probably add more things to the list: distrust, suspicion, scheming, and more. 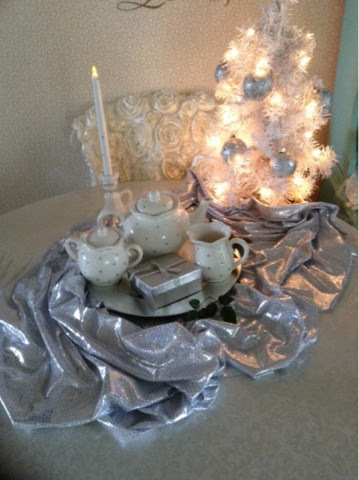 Christian ladies especially need to guard their home atmospheres from the things that put a damper on the mood of the home and family, and keep the troops uplifted. 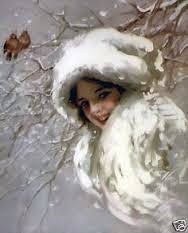 What you gain from giving up the harmful feelings is personal peace and happiness. Your health may improve and your home may gain the atmosphere you wish. As you become more like Jesus, you will draw others to your message. When you give up worry, bitterness, envy, hatred, even bad manners, you end up being free to love. You will not carrying a burden anymore and you can function in your home and in your role as a Christian woman, the way you were meant to. 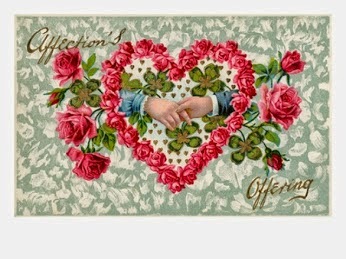 Please keep in mind that there will always be and always has been a world of tumult around us and that we cannot fix the world.Not everyone in your life is going to cooperate with you and not everyone will be a nice person in return, but when you give up hardness of heart, you can function more fully as a Christian lady in the home. Remember, God is on your side if you love. 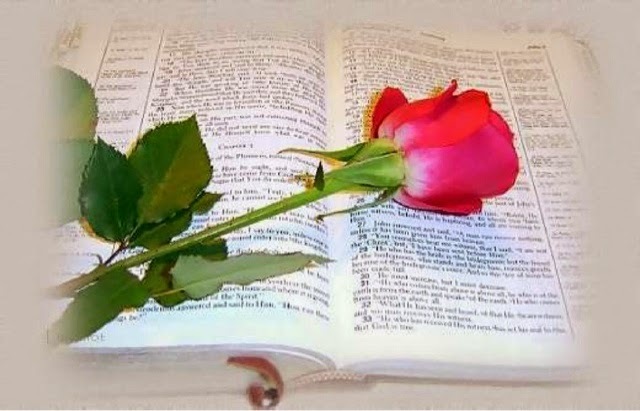 It is important, I think, to spend time alone with God and His Word, and then more time walking and talking with God, if you can find a place to do it and get away from the troubles around you. If you will make an effort to spend quiet time with God and pour out all your troubles, you may find He makes all things possible for you. Is it peace you want in your life? Do you long for things like comfort and reassurance, stability - both physical and spiritual--or, do you desire to be kind and loving, hospitable, and creative? Do you want to make better use of your time, become a better homemaker or be able to teach your children wisdom? These are the desires of the hearts of most women. There are two parts to this verse, each dependent upon the other. Do your best to put it into action, and trust God for the results. 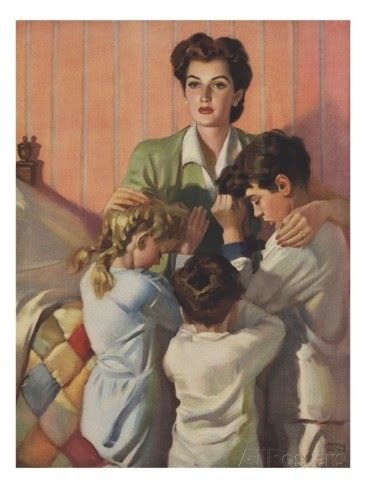 Though we have the blessings of family and friends, our Lord is the only friend with true, faithful love, who will never betray us or forsake us, so it makes good sense to rely on Him and to pour our hearts out to him, asking His aid in our efforts to carry out the responsibilities he has given us as Christian ladies. Although this post is not about a particular aspect of homemaking itself, it is written because any job worth doing has to have a strong belief behind it: that it is worthwhile in the eyes of the Lord. Without a belief, things become mechanical and meaningless. With faith, there is motivation to go beyond what is required. Your comments are valued and appreciated. If you are a reader of this web-log and have never commented, I hope you will either leave a comment or email me. Please click on the picture, above, to hear the beautiful song. Remember to pray without ceasing, (1 Thessalonians 5:17) and to take every request to Him in prayer. (Philippians 4:6). In all your relationships, do the right thing, letting the Word of God in scripture be your guide, but always preface every action and word with prayer, and then back it up with prayer. Prayer is like the engine and the caboose of a train, where one leads and another keeps it from sliding back. There is so much more that can be done with prayer, that I doubt we have ever really tapped that source to its full extent. We have so many avenues of expression and sharing, but let us make it a habit of going to our Lord first in prayer. I have not created anything in a few weeks and not sewn anything, although I have a pile of things to work on and show later. 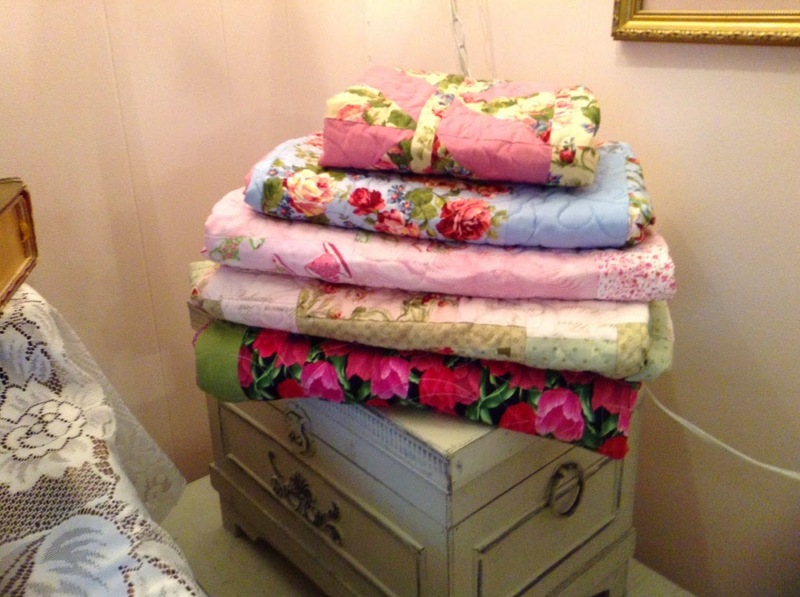 Today I am sharing a stack of small quilts that someone made for me. I had sent her some of my left-over pieces of fabrics from sewing, intending for her to have them for herself, but she sewed them up (she got a real quilting machine and is trying it out) into little runners and table-toppers and throws (lap quilts) and sent them back to me. 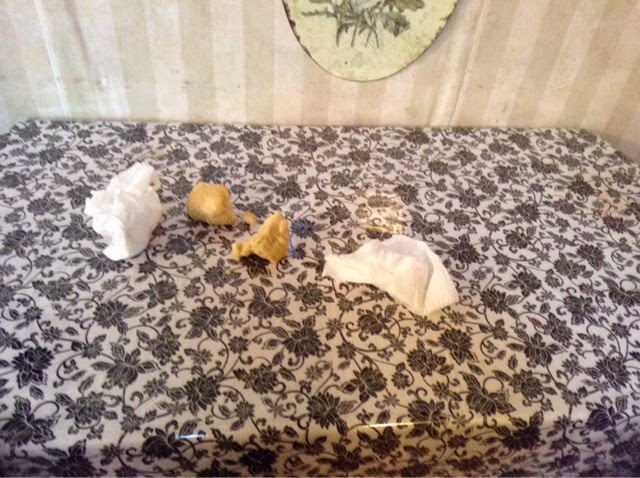 There they are all folded up on top of a trunk, with the coffee-table runner on top. 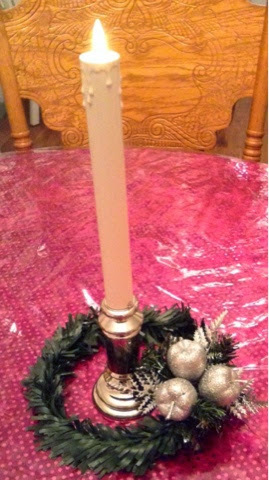 Please do not let the exciting Christmas season be the end of love, joy and peace for you, but carry on the celebration in your home, making it beautiful and wonderful in every way. Get out your favorite things and put them around and enjoy them. Click on the other ladies blogs on the left of this page and get some ideas of what people are doing to make home living a delight, even when they are living in not-the-best-circumstances. 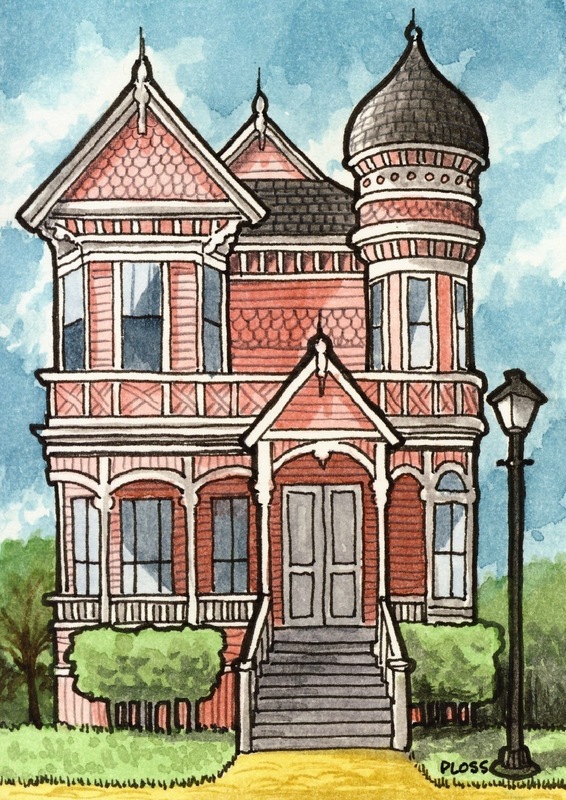 I admire the women who have made homes of humble places. To summarize, when you get up in the morning and the day seems bleak to you, and maybe your future is up in the air, don't forget to pray. God is the only one you can really rely on and trust, and there is nothing wrong with keeping a prayer in your mind a hundred times a day. At this time of year I am overwhelmed with thankfulness for many things, but am especially thankful for all you who leave such lovely, supportive comments, and who have contributed their wisdom and given me so many ideas for future posts. 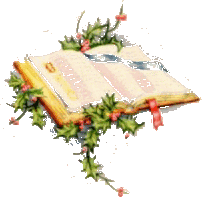 Note for newcomers: This is a homemaking web-log for ladies, with a spiritual tone, based on Titus 2 , I Timothy 5:14, 1 Timothy 2:9, and many other scriptures. 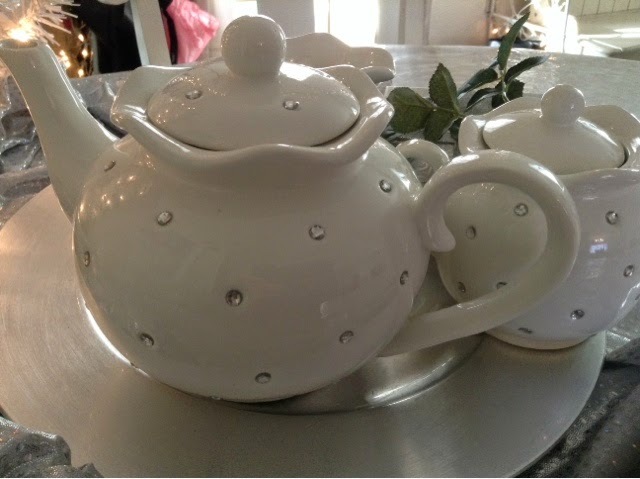 It is for the edification of ladies who see the home as a priority in their lives. 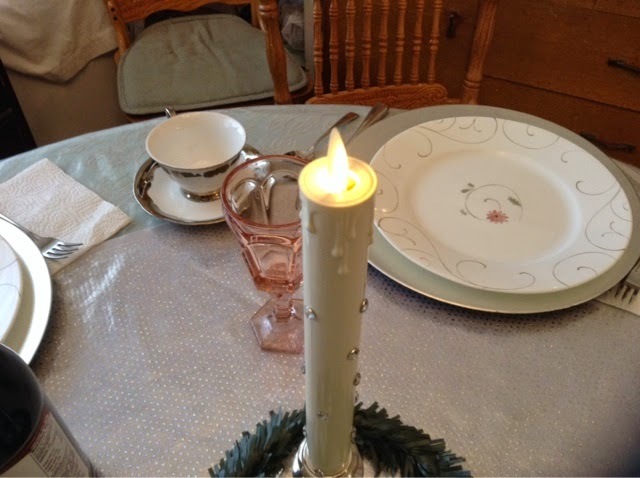 Thank you for your visit To my Homemaking web-log with a Titus 2 theme. I hope you find something that edifies you, either from my posts or the comments left by readers. 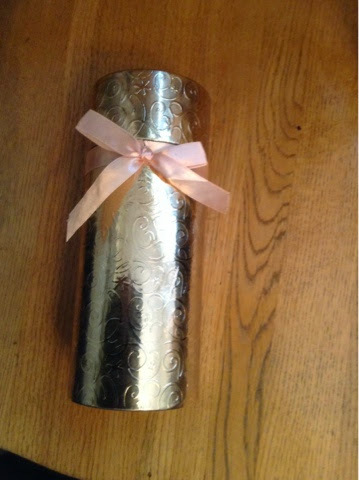 Today I am sharing some of the early gifts which was given to me two days ago so that I could use it on a couple of tables today. This unusual candle is battery-operated and has a flickering flame that is produced by a little fan within. It also has a timer. The flame looks real and it is impossible to take a true picture of it. 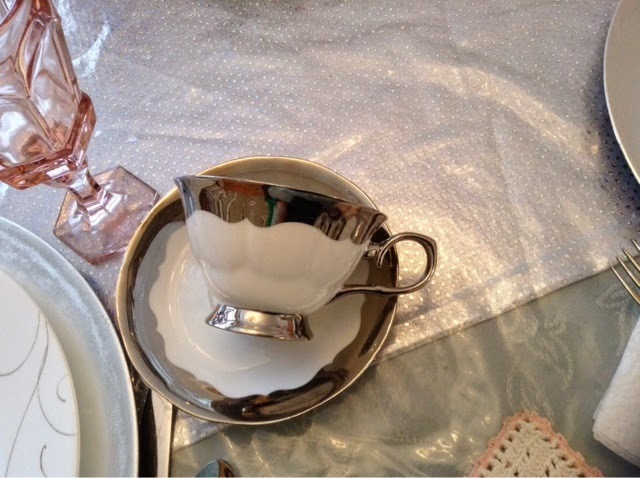 These cups came with the tea set. 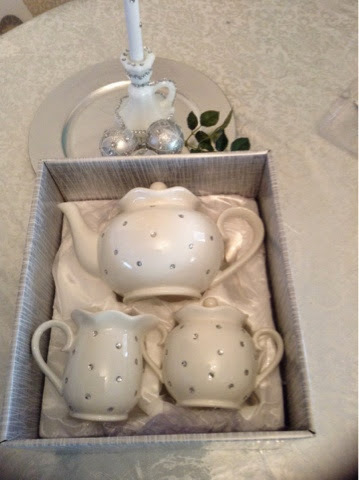 I was especially happy with the box it came in, since it is shaped for the teapot and covered in satin. 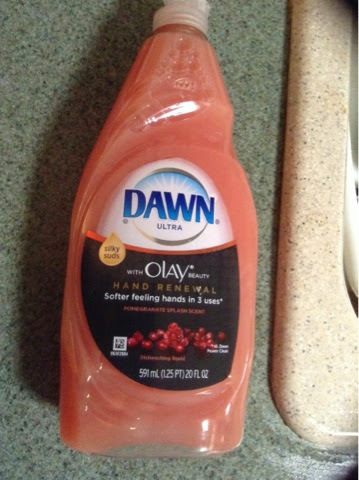 This is perfect for using away from home because the packaging is conformed to the shapes. 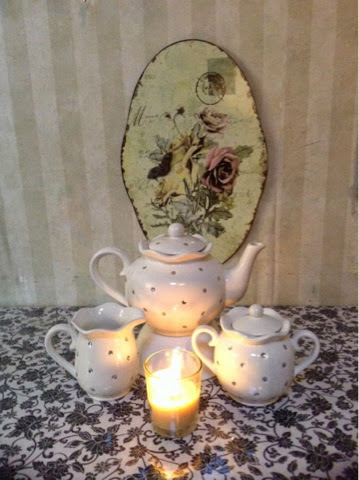 The tea set came from a discount store, similar to he reject stores in Australia . 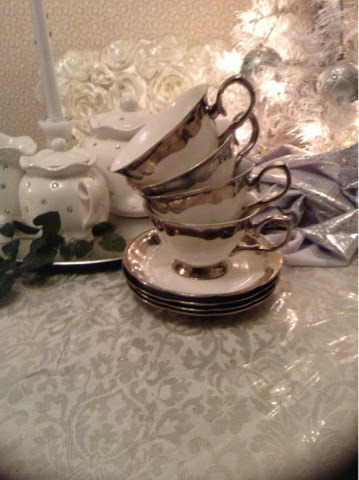 It looks very rich, but the boxed set was only$11.00 and each cup and saucer set was $3.50 and is dishwasher safe, unlike some of the antique teacups. You can find things like this at a Ross or a TJ Maxx/Homegoods store in your area. 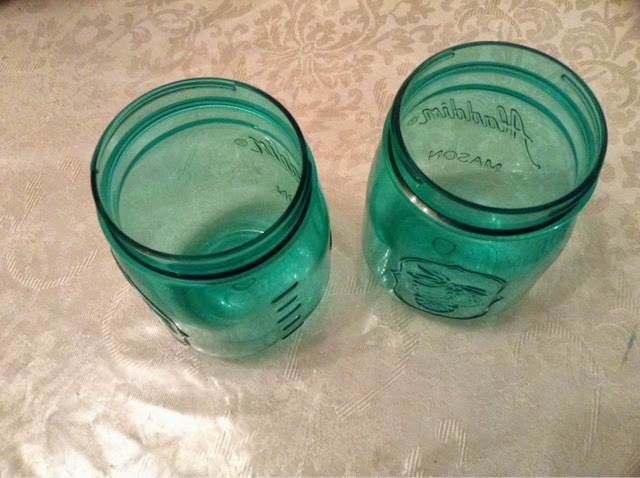 They may have slight flaws but work well for a home like mine, where They get a lot of use. 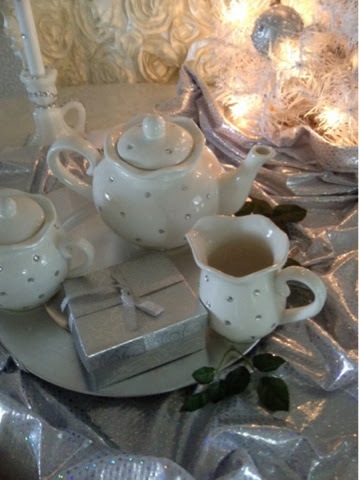 From Dollar Tree, I am sharing an idea for nice gifts. There was a variety of gold and silver boxes in different shapes, which give the dollar store selections an elegant look. Above. 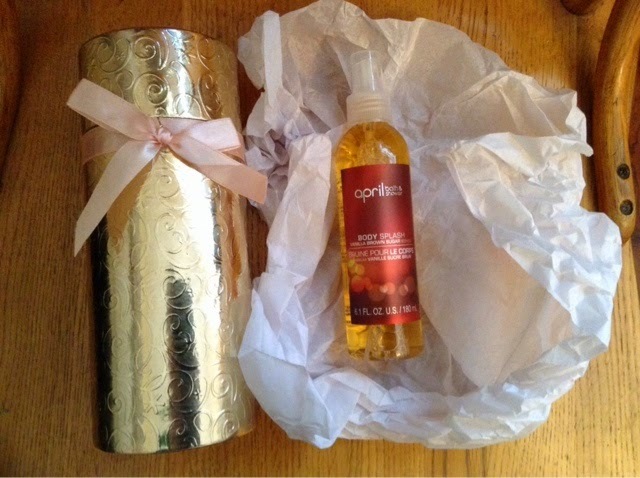 A cylinder box holds a bottle of brown-sugar scented body splash, wrapped in scented tissue (I sprayed some of the cologne on it), all from Dollar Tree. 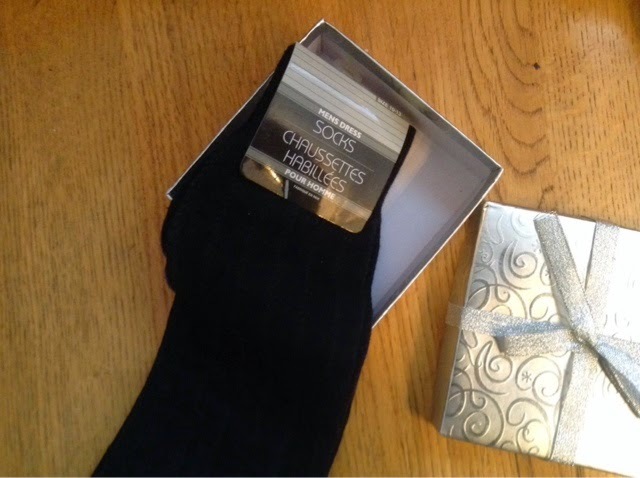 This little square gift box is probably intended for a gift card but a pair of men's socks, also from Dollar Tree, made in France, fit perfectly. My aren't we posh today. 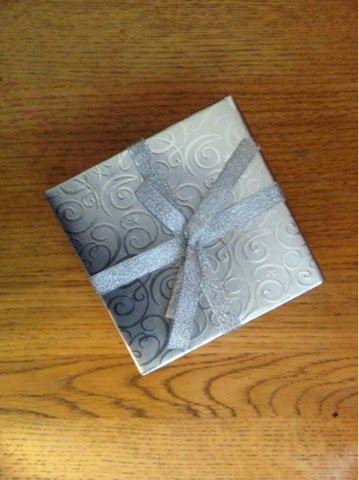 These gifts go to our guests who are bringing a Waldorf salad for dinner. 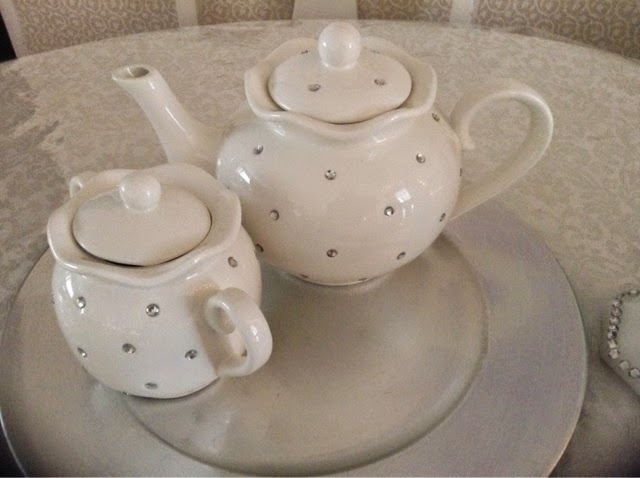 The prize goes to this teapot that my DH picked out by himself and gave to me. It is food safe and I will be using it a lot.